We all know that the Myrtle Beach area is home to some of the best public golf courses in the entire United States. With the sheer number of quality courses in the area, we are known as the Seaside Golf Capital of the World! If you’re coming down Myrtle Beach for a golf trip and don’t feel like paying the high prices for tee times at big names like Caledonia and Dunes Golf and Beach Club, we have the inside scoop on some hidden gems along the Grand Strand. In this first part of this two-part blog, we are presenting the top 3 picks for underrated golf courses here in Myrtle Beach. After careful review, we present: Prestwick Country Club, Long Bay Golf Club, and Aberdeen Country Club. When booking your Myrtle Beach golf package, be sure to ask about including one or all three of these fabulous and “lesser-known” in your package. Prestwick is one of two Pete Dye courses in the area. In 2012, they installed TifEagle Ultradwarf Bermuda Grass Greens. Prestwick was ranked by Golf Digest as “5 Best Kept Secret Courses in America.” According to Myrtle Beach Golf, “its modest reputation is exceeded by the high quality of its design and normal good conditioning.” The Calabash Cup went on to say that “the course isn’t unfairly difficult, but it challenges players on every level making it an enjoyable test.” Back in 2016 Prestwick became a fully Public course, in the past they’ve always accepted public play, but those with a member ship have preference of morning tee times on the front nine. Myrtle Beach Golf Holiday had this to say about the course, “the layout is a nice blend of holes, featuring everything from short par 4s (the 319-yard fourth), and long par 3s (the 211-yard 11th) to everything in between. For many, the par 4 14th is the course’s signature hole, playing across water off the tee before demanding an uphill approach, but Prestwick’s three finishing holes are what stay with me. The 16th is a downhill par 3, the 17th a monster par 5 that requires a nerve-jangling approach over water, and the 18th is a beautiful par 4 that plays alongside a lake and into the shadow of the clubhouse.” Prestwick Country Club is a locals favorite and when added to your Myrtle Beach golf package will be one of the highlights to your golf vacation. 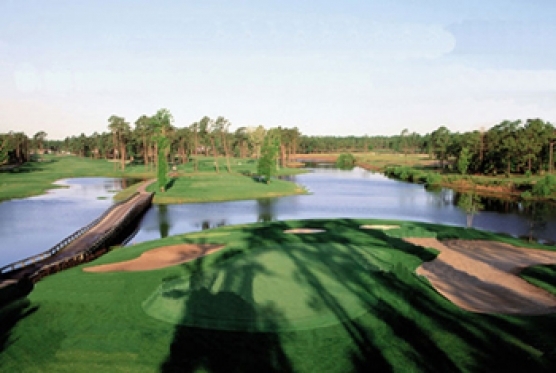 You’ll want to return to this Myrtle Beach golf course year after year. We’ll talk about Long Bay and Aberdeen in part 2 of the Best underrated golf courses in Myrtle Beach.